Today I am pleased to introduce you to February Grace. She is absoultely lovely and did my very first interview. We decided to interview one another and I am grateful to introduce you to my friend, February. In a few paragraphs, describe who you are and what you do. 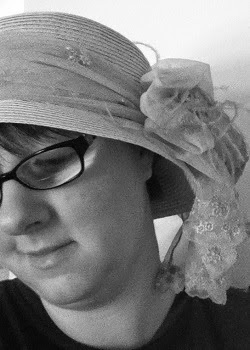 FG: I’m February Grace, an author, poet, and artist from Michigan, where it is much colder most of the time than I would like. I am more than mildly obsessed with romance, clocks, books, colors, music, and meteor showers. 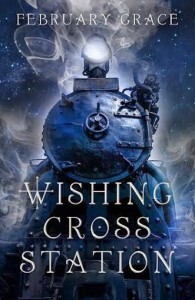 My fifth novel with Booktrope, WISHING CROSS STATION, is a dark fantasy/romance and is scheduled to be released on June 2nd 2015. I couldn’t be more excited about it! Q1: I know you’re a lover of books and writing, so tell me, who is your favorite author of all time? Why is it your favorite? FG: This is so difficult, because I have favorite writers in different genres. Charlotte Bronte captured my imagination with Jane Eyre when I read it for the first time when I was fifteen. She made me fall in love with the art of language. Then, Douglas Adams made me appreciate wit and the economic use of words in The Hitchhiker’s Guide to the Galaxy, which is probably my favorite book of all time. Then there’s my favorite poet, Tennyson; who truly holds a dear place in my heart. Of all three, if I have to choose one I would have to go with Tennyson. Q2: What inspired you to begin writing books? Did someone inspire you? Did another book inspire you? FG: I started telling stories before I could write, and I started writing in the 4th Grade as an extra credit assignment (I was assigned to rewrite the endings of fairy tales.) I’ve written in some form ever since. I think what inspired me to write was reading: I was a very early reader. My Grandmother taught me before I was three. So books from my childhood had a huge influence on my desire to tell stories and make up adventures, as did the movie Star Wars (which would now be called Star Wars Episode IV, A New Hope) which came out at theaters when I was six. I was totally enamored with it from day one: I wanted to be a girl Jedi! My friends wanted to be the princess but I wanted a lightsaber. So out of my love of that great story and many (Disney is a huge influence too) came my love of writing stories of my own. Q3: What do you plan to do going forward in life with your books? Any big plans for a new series or novel? I kept writing in groups, even eventually running my own collaborative group until 2011. But in 2008, after losing my sight and then regaining some of it after several complicated surgeries, I started to focus on the idea of writing a novel for publication. 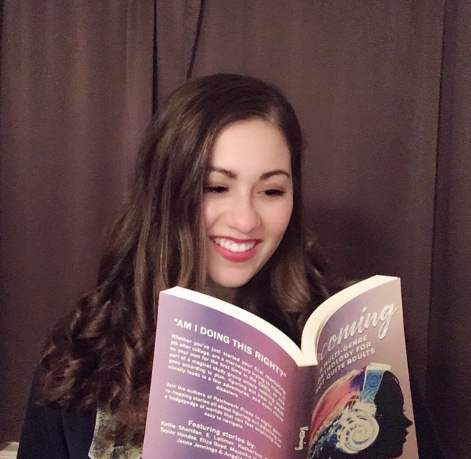 Since I’ve been writing so much, for so long (and since I’ve published five novels with Booktrope in the past two years…) I am going to be taking some time to focus on getting the word out about those five novels while I consider my future. I would love to write a book of flash fiction and poetry at some point. I also have a screenplay sitting around that I have been wanting to make into a full novel. A new idea for something completely different may occur to me tomorrow, or I might just work on marketing for a bit until an idea does. I’ve been at this a long time for many years (except for the bouts of writer’s block brought on by Bipolar Disorder) so a little time to regroup is what my immediate plans are now. Q4: I am always searching for new books to read. Do you have a favorite book series? If so, what is it and why is it your favorite? FG: To be honest, I prefer to read stand-alone books, which are difficult to come by these days. With my limited eyesight the time I am able to read for pleasure is very limited. I use a reader on my Kindle sometimes but it’s just not the same. When I do read for pleasure though I find I am most drawn to nonfiction books. I just finished Amanda Palmer’s The Art of Asking (it has a lot of colorful language in it, I would say it’s for the over 18 crowd…) and I absolutely loved it. It inspired me to look at life and art in a whole new way, and that is a rare gift to get from a book. I want to read it again as soon as I have a moment to spare. Q5: Bonus Question: Do you collect anything? If so, why? Thank you so much for having me as your guest! I appreciate it! Find my interview at clockworkconversations.blogspot.com. A special thank you to February Grace for being my first interview. Question of the day: What is your favorite book series of all time? I ask this because I am currently looking for a new great series to read. I have my eye on the Mara Dyer series. How is that?